If you have not planned your late spring or early summer getaway, now is the perfect time to finalize your plans to visit Door County. Ephraim Shores Resort, which opens for the season in early May, has everything you need for your vacation — great accommodations plus many amenities including a beach, sundeck, exercise room and an indoor pool. Ephraim Shores Resort is close to everything Door County has to offer. The months of May and June are ideal for the county’s silent sports, including biking, hiking and kayaking. The temperatures are ideal and the roadways, trails and water are a little less crowded than later in the summer. Door County is a biker’s paradise. The county hosts several annual bike rides, including the Peninsula Century Spring Classic on June 17, and its curvy, quiet country roads are ideal for bikers of all abilities. You can also explore Peninsula State Park and Newport State Park on two wheels by following its marked bike trails. Ephraim Shores also has bikes for our guests looking to explore the nearby area on two wheels instead of four. 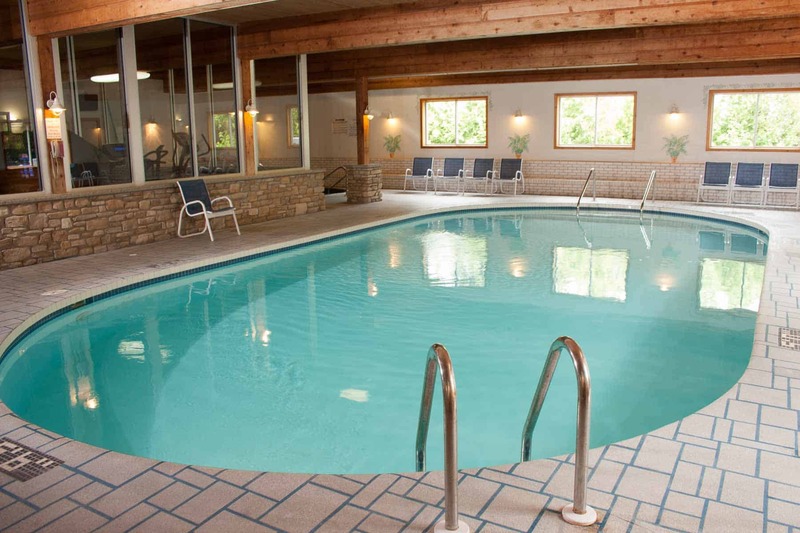 After a day of biking, relax in the indoor pool Ephraim Shores has to offer. Hikers can enjoy the county’s many parks, exploring miles of trails. Door County’s parks offer a variety of hiking options from exploring the dunes and the Lake Michigan shoreline at Woodland Dunes State Park to the hilly, woodland trails at Peninsula State Park. If you want to experience Door County from the water you can rent, or bring, your own kayak. You will not be disappointed with the natural beauty you will see on the water or land. Overlooking Eagle Harbor, Ephraim Shores has a variety of room types to meet your needs whether there are just two of you, or an entire family (or two). The resort’s suites include full kitchens, a common living area and separate rooms for sleeping. Several rooms also have spas that are perfect for relaxing after a long, active day. Our centrally located resort is the ideal vacation destination, with its comfortable rooms and plentiful amenities, including a beach, sundeck, exercise room, whirlpool and indoor swimming pool. One of the best Door County hotels, Ephraim Shores Resort is now accepting registrations for the 2017 season. Prime dates fill up quickly so do not wait to book your vacation. Contact us at 877-854-2371 or visit our website ephraimshores.com to make your reservation.